The Domain Name is a unique name that is used to identify your website. 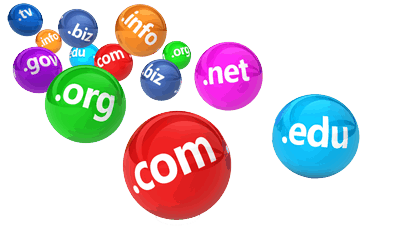 The Domain Name should be easy to remember, related to the content of your website, and be as short as possible. Think of a Domain Name as your street address to your home. The domain is the address of where your website is located. So when you tell someone where your website is located, you want someone to be able to remember it, and spell it easily. So keep that in mind as you choose your domain name for your website. It is important when creating a domain name, to make sure it is something memorable, something catchy, and fun. You want people to be able to make it a household name, or that it becomes a part of their everyday vocabulary. Be creative and unique when coming up with your website’s name. When purchasing a new domain, be sure to add Private Registration. This helps to keep your personal information (email, phone, address) private.